It's National HIV Testing Day. Get Tested. It's Free. It’s National HIV Testing Day. Get Tested. It’s Free. Today health care providers and HIV advocacy groups from across the country highlight the importance of HIV testing and prevention nationwide. On average, the Centers for Disease Control and Prevention estimates there are nearly 40,000 new HIV transmissions every year, with the highest rates found in the South. In 2015, gay and bisexual men accounted for 67% of new HIV diagnoses, while heterosexual women accounted for 19% of new transmissions. According to the Houston Health Department, one out of every 200 Houstonians is living with HIV. 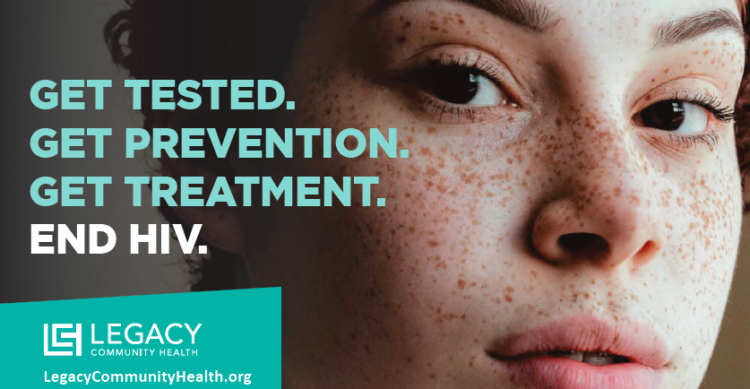 Legacy is committed to ending the HIV epidemic in Houston through public health education, legislative and grassroots advocacy, and coalition building.